Give your face the enhancement of defined expressions. As we begin to age, the temple area is the first area to droop and create a hood on the outer eyelid causing our eyebrows to slug down as well. With a brow lift, you will easily achieve a natural, more rested and younger appearance. WHAT’S A TEMPORAL BROW LIFT? A browlift is also known as a forehead lift. It’s designed to lift the brow to effectively remove weight from the upper eyelids. 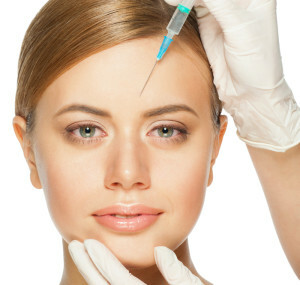 The procedure dramatically rejuvenates a person’s look. This procedure relieves tired or stressed expressions that develop with age. The incision is hidden in the scalp behind the temporal hairline. The brow is then elevated using internal sutures or another fixation device. The temporal brow lift leads to a rejuvenated appearance and decreases lateral hooding on the upper eyelid. The temporal brow lift is commonly performed in conjunction with an upper eyelid blepharoplasty. The procedure is about 1-2 hours long. You will be under general anesthesia during this procedure and we advise coordination with your guest and/or caregiver to drive you home and care for you for at least 24 hours post-operation. This procedure usually requires 1-2 weeks of recovery. As with any surgery, you should avoid strenuous activity for several weeks to allow your body to heal, and no contact sports for 8 weeks (e.g. basketball, soccer). You may have some numbness, incision discomfort and mild swelling. Swelling typically goes down within a week and bruising within 2-3 weeks. Stitches will be removed 5-10 days after the browlift.